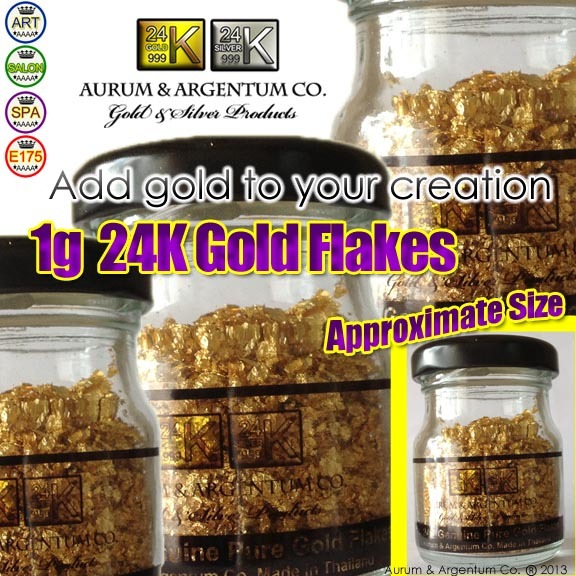 Edible Gold Leaf Flakes Powder 24k Wholesale | 24K Gold Leaf, Gold Flakes and Gold Powder Wholesale – Aurum & Argentum Co.
24K Gold Leaf, Gold Flakes and Gold Powder Wholesale – Aurum & Argentum Co.
How Gold Leaf is Used and Creative Ideas of Gold Flakes and Gold Powder. Contact us today. Contact form below. 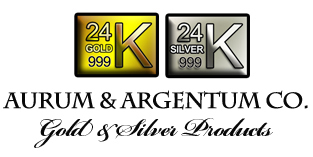 Aurum & Argentum Co. has 3 main gold products, which are 24K gold. The first one is gold leaf. 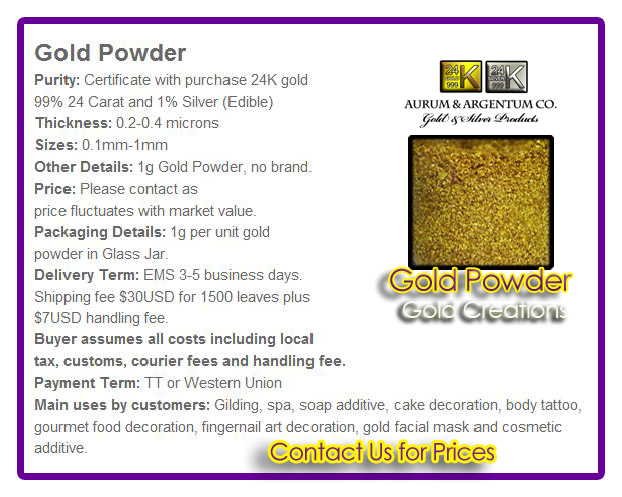 Payment Terms Update: T/T (bank transfer) or Western Union for large orders over 500 gold leaf sheets or over 5g for gold flakes and powder. 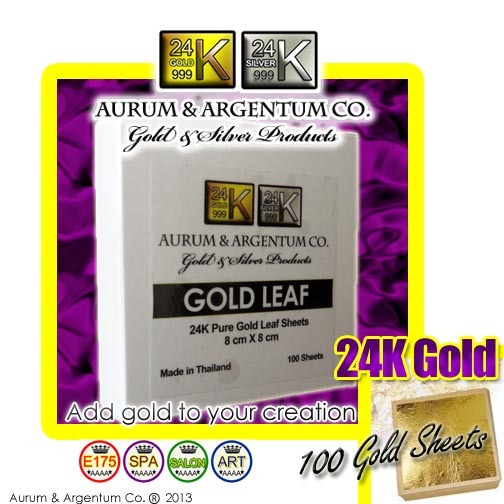 For small orders 100-500 gold leaf sheets or 1g – 5g gold flakes and gold powder customers can pay with Paypal. 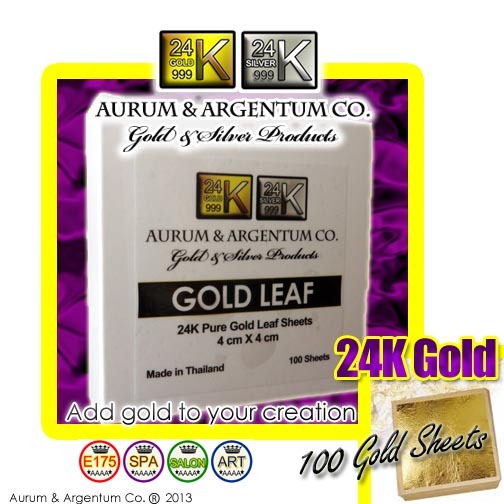 Aurum & Argentum Co now has 20 leaf sheets and 100 leaf sheets for 4cm x 4cm and 8cm x 8cm. 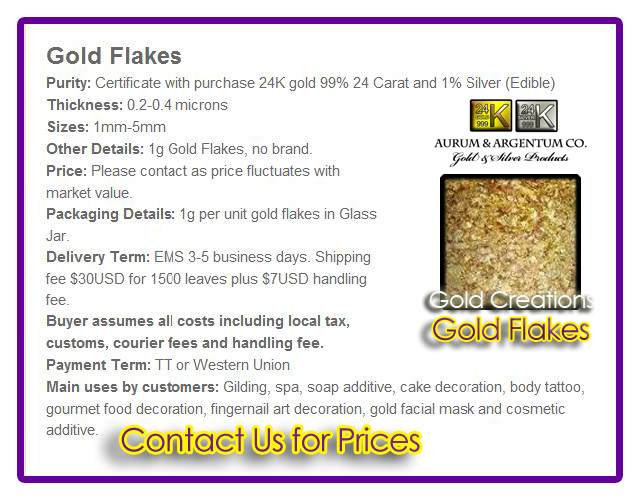 Please contact to purchase retail or wholesale. This item is made to order. 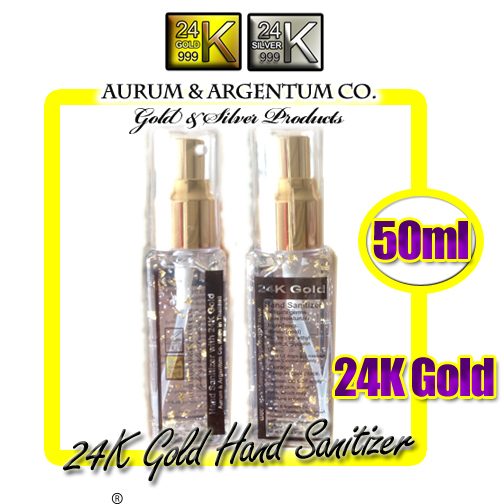 An elegant looking hand sanitizer mitigates germs. Moisturizer from tea tree oil and glycerin. 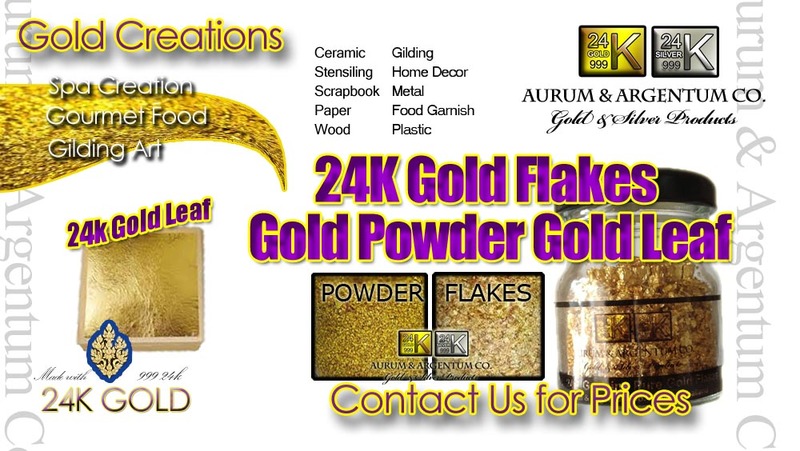 24k gold flakes for whitening. 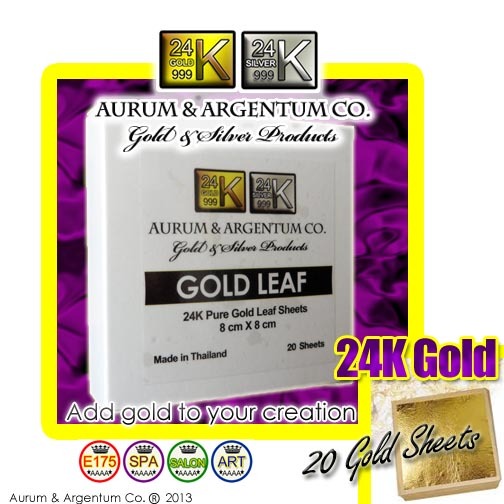 Ingredients: 24k Aurum (gold), tea tree oil, ethyl alcohol, glycerin. Use: add 1-2 drops and massage hands. Contact for ordering wholesale. Please, contact us for shipping details to your country. What is Gold Leaf? and What are uses of Gold Leaf?